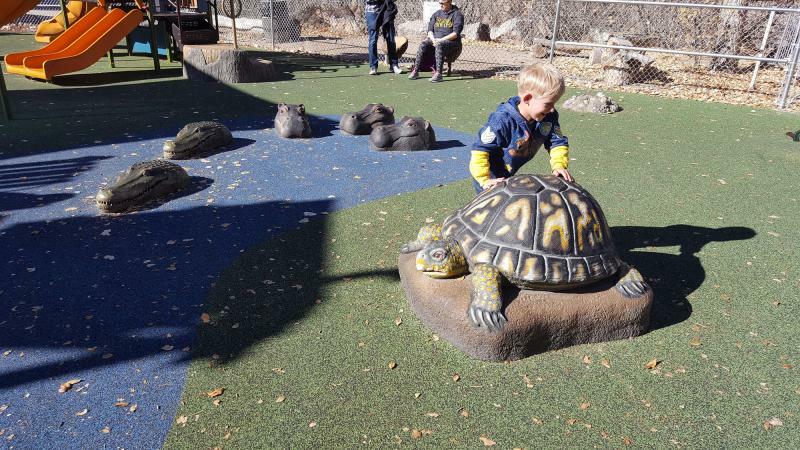 Groundwork Studio teamed with Exerplay and Landscape Structures Inc. to design and build this unique custom playground for the Albuquerque Zoo. 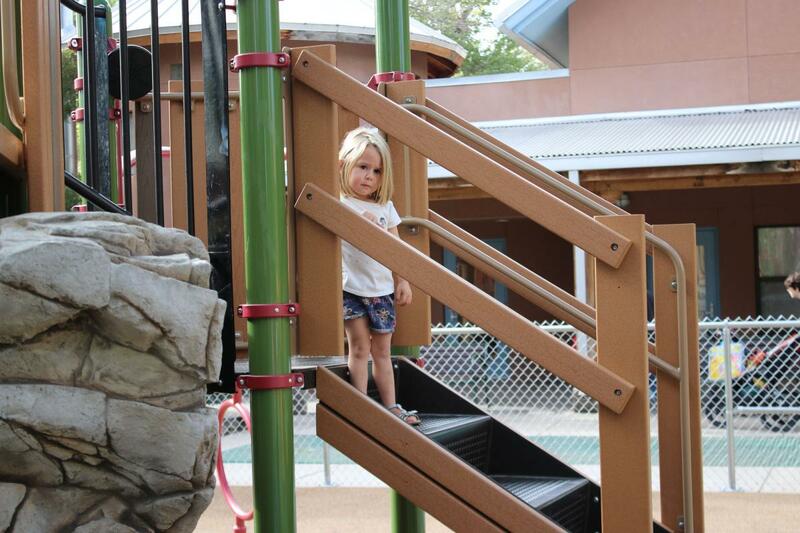 The playground replaces an old climbing structure that was creating a maintenance and safety hazard for the Zoo. 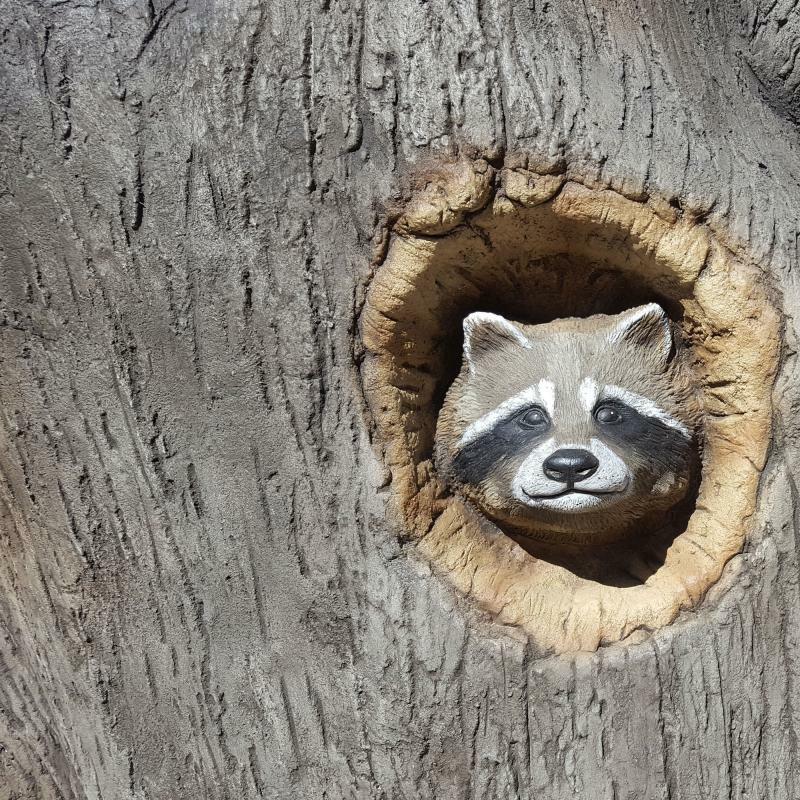 This one of a kind structure design responded to the Zoo’s request for a lookout tower, adventure and nature theming and multiple layers of play opportunities throughout the space. 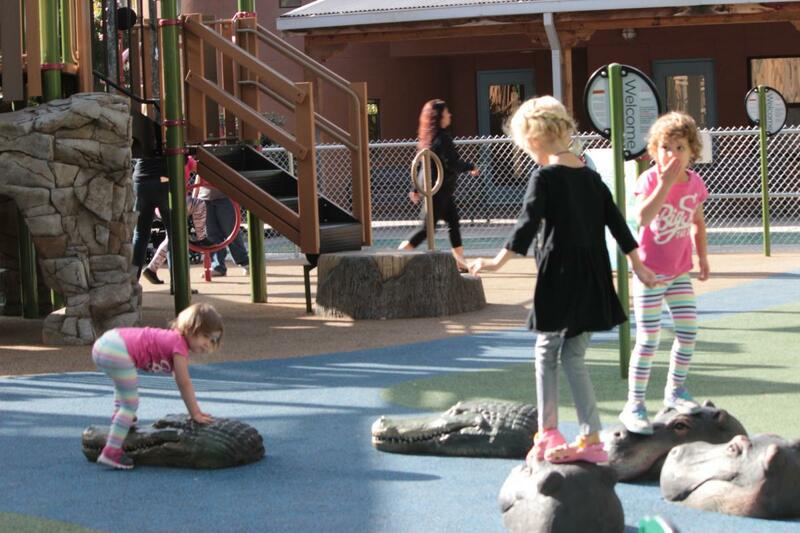 The playground includes play options for 2-5 year olds and 5-12 year olds, with areas separated by a blue resilient surface “river.” Custom and hand-painted fiber reinforced concrete hippo and crocodile heads peer up from the water and provide playful stepping stones. The vantage points provided by multiple landing levels give children unique views of the zoo’s adjacent giraffe and elephant exhibits, while providing diverse options for climbing, crawling, spinning and jumping. Parents can rest on log or acorn shaped seats surrounding the equipment. The design-build format for this project is allowing it to be completed on a fast track basis, critical for projects in which construction is occurring in the midst of an active recreational facility. Once the overall design was approved, Groundwork Studio worked quickly to complete construction documents to meet the pace of construction – providing demolition and grading drawings first and coordinating equipment and surfacing colors to ensure rapid product ordering and delivery. Our team worked collaboratively to detail the transition between existing fencing and new, as well as fine grading to ensure drainage while maintaining code compliant fall heights.